The painting by the Renaissance master Raphael, is becoming more and more damaged due to the humidity in the gallery where it’s on display in Italy. This is due to the failure to repair a faulty air-conditioning unit. Due to the humidity and the temperatures these paintings have been kept at, the paintings have begun to dramatically warp. 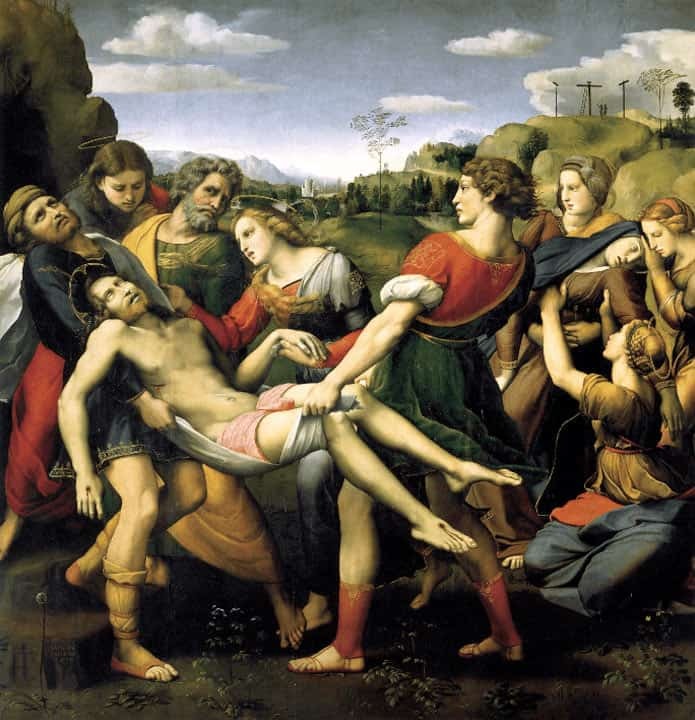 The Deposition, which was painted in 1507 and shows Christ being carried from the cross, is the most affected by the humidity. This is because it’s been painted on a wooden board instead of a canvas. Due to the hot weather and lack of air-conditioning, the painting’s wooden frames and backboards are drying out which is causing the paintings to warp. Contractors at the Borghese Gallery in Rome have begged heritage officials for the air-conditioning to be repaired, but so far their requests have been ignored. The former director of the museum, Kristina Hermann Fiore, raised the alarm over the conditions these paintings are being kept in. The existing system was installed in 1997 and has been poorly maintained since then. The Borghese Gallery is home to a number of renowned sculptures and works of art from artists such as Rubens, Titian and Perugino. The lack of upkeep for this gallery is supposedly due to a reduction in funds for Italy’s artistic patrimony. Italy has more World Heritage sites than any other country in the world, with 50 recognised by Unesco for their cultural or natural significance. All are affected by the heat, humidity and large numbers of visitors, which is a constant challenge for the Italian government. Only recently have they installed a state of the art climate control system in the Sistine Chapel to protect Michelangelo’s frescoes from the sweat and carbon dioxide damage from its thousands of daily visitors. This system uses cameras that regulate the temperature depending on the number of people visiting.